Greetings and Happy Tuesday to you! Thanks for visiting today! 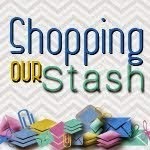 Are you ready for a new challenge from the SHOPPING OUR STASH crew?? 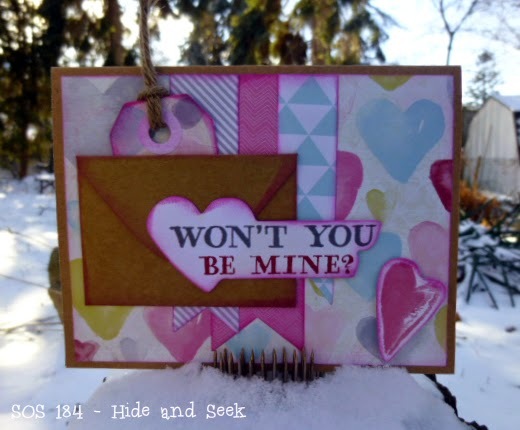 This week, our challenge for you is Hide and Seek. We'd like you to use a hidden element on your project, or perhaps a picture of someone playing hide and seek. 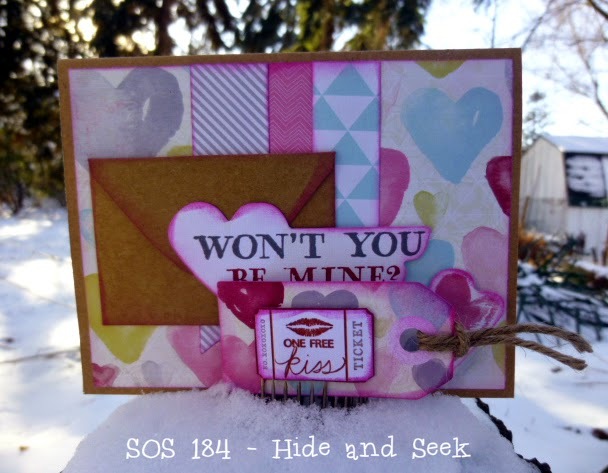 Visit the SOS BLOG for all the details on the challenge and while you are there please show my teammies some crafty lovin! Oooh, I like that paper with the Kraft! Love your hidden element, who's the recipient of the kiss? Nice job on the challenge. How very clever of you, Ms. Donna! I love the colors in this project. I always think of Baskin Robbins. Very nicely crafted. Such a cute design! Those colors just make me wish I had a package of conversation hearts in front of me. And omg you gotta do what Chris said, because I'm peeing.